When you have a long neck and a long bill, there’s always a spot that’s almost impossible to groom! This entry was posted on 2015/01/30 by Robin. 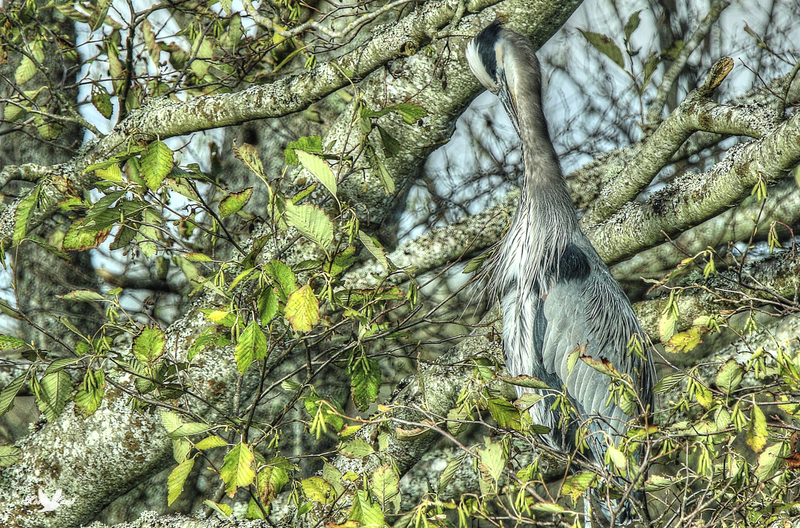 It was filed under Birds and was tagged with B.C., Great Blue Heron, Ladner, Preening. Looks like he may almost reach it. Ruth, almost within reach, I think! Great shot. Robin. He almost looks like part of the tree. Pat, thanks! They blend in pretty good!